Shiplap Genuine Mahogany can be used for siding on any structure to add a beautiful outdoor appeal! 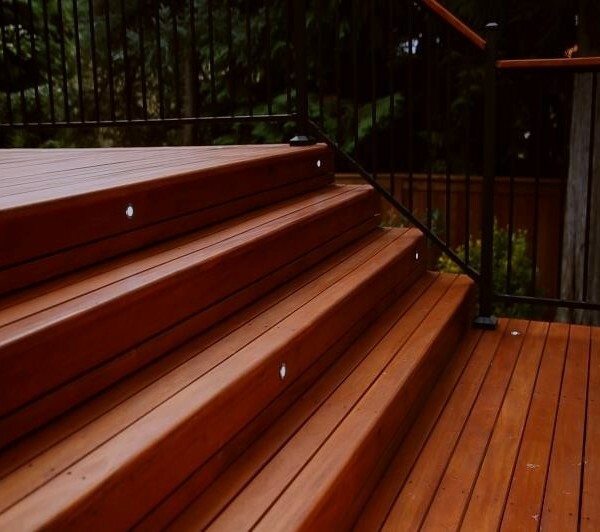 Ipe Wood: The best natural wood decking material. Widely recognized by as one of the most durable species for fully exposed exterior applications, Ipe offers excellent resistance to scratching and weathers gracefully without splintering. Ipe (pronounced ee-pay) is a sustainably harvested wood imported from South America. This hardwood is famous because of its gorgeous look, strength, and hardness. Compared to other decking options, Ipe wood is virtually impervious to dog nail scratches and indentations (from high heels or chair legs). Ipe is also highly resistant to problems related to moisture and insects. Ipe’s density and weight render it very stable so that it shrinks and expands very little, even when exposed to rain or extreme temperature. 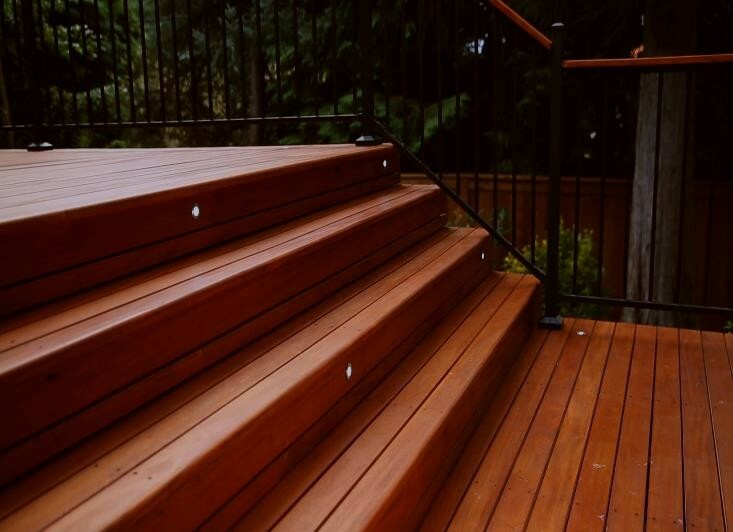 With no treatment, Ipe decking will last over 40 years! In short, Ipe is IDEAL for decking in both outdoor and indoor venues, for both commercial and residential projects. 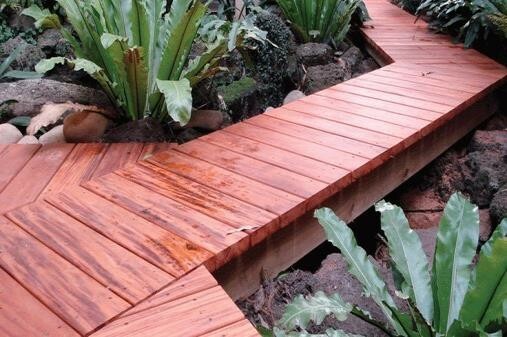 Not only is Ipe the toughest and most durable decking available, it is also beautiful. Its color varies from deep, walnut brown to olive to mahogany red, and its fine grain appears swirly, striped or perfectly uniform. Left to weather naturally, Ipe decking develops a rich, elegant silver-gray patina. 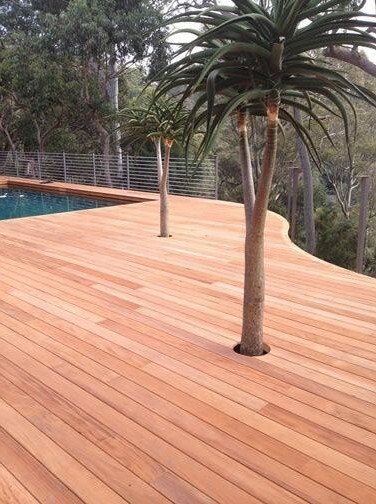 Either natural or finished with a UV inhibitor, Ipe decking is as unique as it is breathtaking.